Directed by Kenneth Branagh. 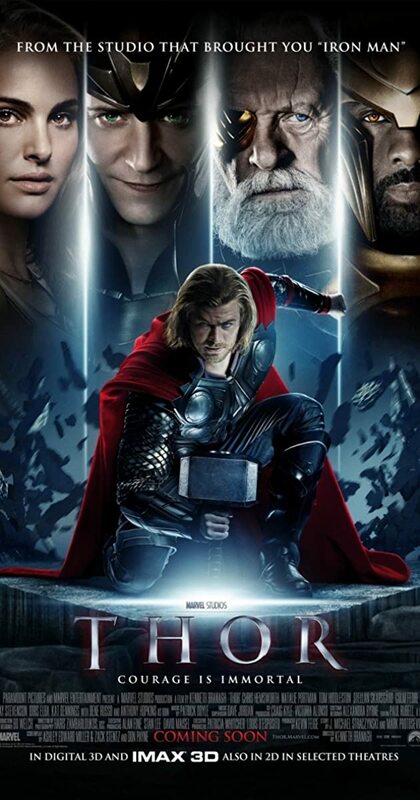 With Chris Hemsworth, Anthony Hopkins, Natalie Portman, Tom Hiddleston. The powerful, but arrogant god Thor, is cast out of Asgard to live amongst humans in Midgard (Earth), where he soon becomes one of their finest defenders.